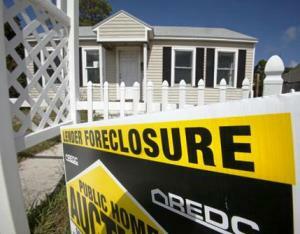 For the third consecutive year, Florida lawmakers will attempt to fix the state's foreclosure court mire with legislation that streamlines the process and, in some cases, gives banks quicker access to repossession. The proposed legislation, called the Florida Fair Foreclosure Act, has yet to be filed, but Rep. Kathleen Passidomo, R-Naples, is passing around a draft bill and seeking input. She said she's received "hundreds and hundreds" of email responses to her request and is making revisions before filing it for consideration during the 2012 legislative session. But some foreclosure defense attorneys fear the proposed legislation will be a step toward making Florida a non-judicial foreclosure state where banks don't have to seek a court's permission to foreclose on a struggling borrower. Others say there are positive changes for homeowners in the plan, but they are wary about what it will look like after it's vetted by Tallahassee power-brokers and business-friendly committees. A foreclosed West Palm Beach home advertised for auction. bringing these actions. The irony is that time and time again we've seen that we can't trust them." A lender could choose to foreclose without going to public auction if what is owed by the borrower exceeds 120 percent of the value of the property, but the lender is then barred from seeking a deficiency judgment against the borrower. A borrower challenging a final foreclosure judgment could only claim monetary damages and not seek to regain ownership of the home. Currently, a borrower can seek to reverse a judgment and win back his home. A final judgment would have to be entered in uncontested foreclosure cases within 45 days instead of the current 90 days. If a note is lost, the bank would have to describe why it has the authority to foreclose on a property and specifically identify the document that grants it that authority. Banks are currently allowed to be more vague when describing that authority. Attorney Tom Ice, of Royal Palm Beach-based Ice Legal, said requiring the plaintiff to specify its authority at the beginning of the case could increase efficiency. "Currently, the banks are not specific and will change their theory of ownership on the fly, sometimes in the middle of trial," said Ice, whose firm defends home­owners. "Without specificity, litigating against the bank is like pushing on a balloon. When you make headway in one area, something pops up somewhere else." But Ice said he's opposed to a provision that would allow a home­owner to seek only monetary damages if a house was wrongfully foreclosed on. This measure, Ice said, is mainly to protect title insurers who would have greater losses if the home had already been resold to a third party. "This fails to recognize that a home is more than a mere monetary asset to the homeowner because the homeowner can never get the home back," he said. Another concern for foreclosure defense attorneys is the hastened timeline for uncontested cases. Lynn Drysdale, an attorney with Jacksonville Area Legal Aid, said some homeowners are on a dual track system where the bank is considering them for a loan modification while also foreclosing on them. In those cases, Drysdale said the homeowner may ignore foreclosure paperwork, leaving their case uncontested in the eyes of the court. Still, with Florida's courts grappling with a mounting foreclosure backlog of 260,815 cases, 23,725 of which are in Palm Beach County, Drysdale said she is open to legislative solutions. "The possibilities are always there that the two sides can work out something that neither side is thrilled with but is a comfortable medium," Drysdale said. "I'm not sure I'm thrilled with the methods proposed, but that doesn't mean deliberations can't occur to ensure we still have due process in foreclosures."